Soft Strap Espadrille Sandals E Fit is rated 4.1 out of 5 by 12. 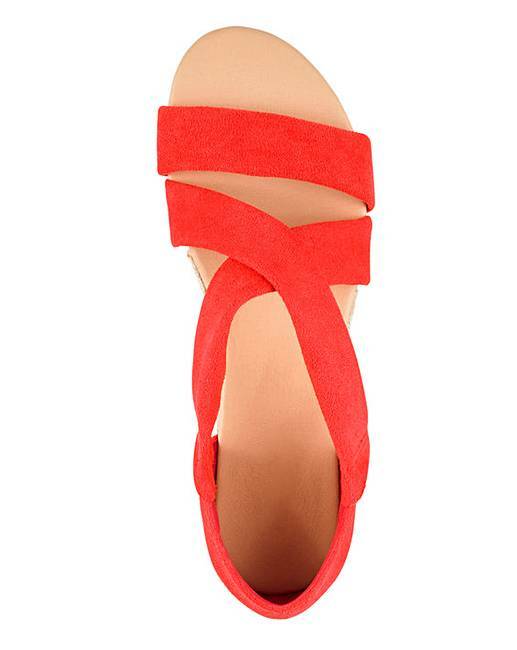 Get the look for less with these great value sandals. The soft crossover straps have elasticated panels for a comfortable fit across the foot. 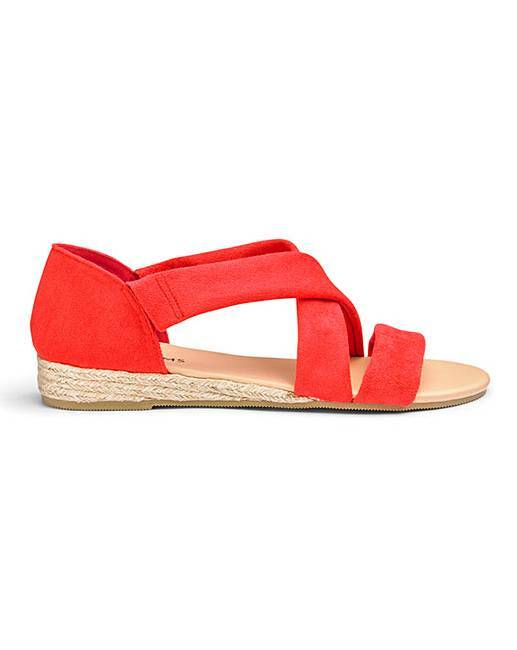 Low wedge espadrille-style sole for a true holiday look. Gently padded underfoot for comfort from day into night. Rated 3 out of 5 by Meme77 from Funny fit Fit felt strange, no support at all, liked colour but not much else. Rated 5 out of 5 by Tomthedad from Comfortable Comfortable, easy wearing , just awaiting the weather ! Rated 5 out of 5 by Shirl70 from Comfortable to wear. Now a good addition to my shoe collectiion. Colour silver will match many outfits. Rated 4 out of 5 by Kw101 from Very soft Very soft straps make these sandals comfortable to wear. I think I’ll enjoy wearing them when the weather gets warmer. The only thing I’d say is that the colours are slightly different from what you see on the website. The red is a very orange red, and the blush is more pink than it appears in the photo. Still nice colours but not exactly what I expected. Rated 5 out of 5 by Salma from Very comfortable I’ve recently purchased these sandals. Fit perfectly and are very comfortable for walking or just casual wear. Rated 3 out of 5 by Kmg from Weird colour Comfortable BUT a sparkly pale blue - not what I expected so sent back!